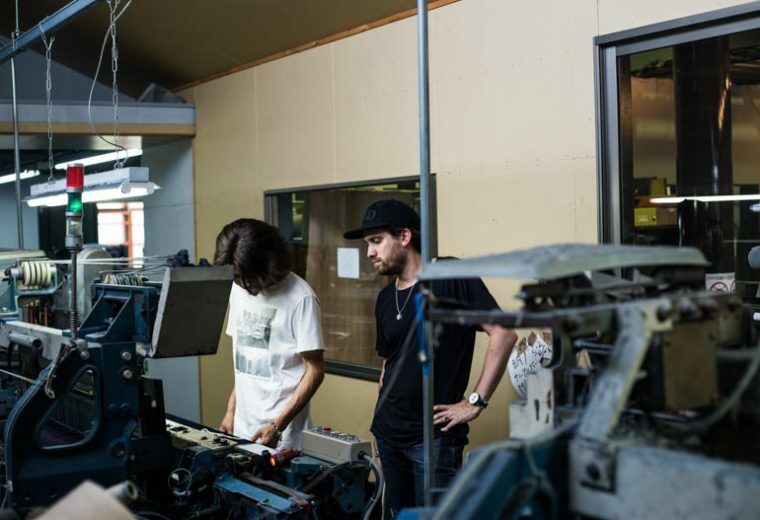 When a new denim brand starts out, more often than not, they will go to one of the bigger names in the milling industry to find their denim fabric. 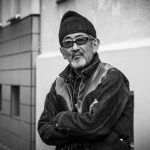 Maybe Collect of Kuroki in Japan, White Oak in the US or Candiani in Europe are a few of the names you will recognise and are commonly associated with the finest quality selvedge denim. The new denim brand will pick out a denim from the mill’s selection of “standard” denims, that is, fabrics which are milled and held on stock. These are fine denims and can come in a plethora of weights, weaves, hues and hand (the feel of the denim to the touch). The only issue with this is, any brand can have these denims. 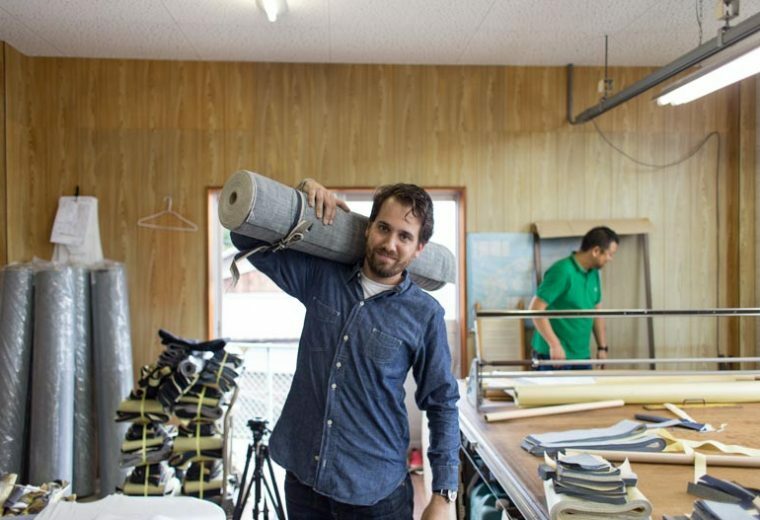 So, as a brand grows and matures, it is a rite of passage to create it’s very own denim fabric. Over the years, I have watched and worn my friend Lenn’s brand, Benzak Denim Developers, grow and mature into one of my favourite brands out there. 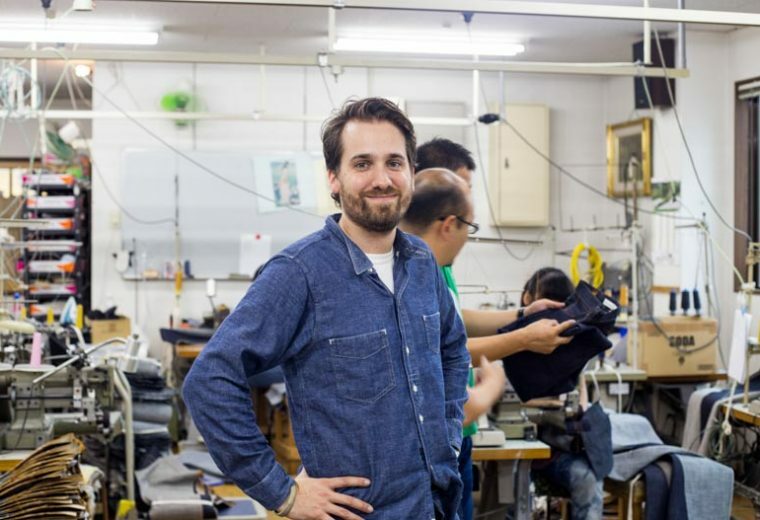 So on the cusp of some great things, like the European Made collection we featured last month, we sit down with Lenn and have a chat about this right of passage, creating the first Benzak specific denim. 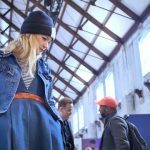 Rope Dye: Tell us about the process you go through to create a denim? I consider 14 oz. the perfect mid-weight and suitable for the entire year almost. But looking at this setup I was missing this weight in a ‘normal’ indigo RHT. So this was my starting point. When I was in Japan last year, visiting Collect, I couldn’t really find anything with these specifics that didn’t look too similar to the deep indigo or heavy slub. This made me decide to go back to the drawing board, together with Collect, and develop a fabric from scratch. I decided to go for a red cast indigo dye since this a colour cast best identified with ‘regular’ denim. As the very first exclusive BDD fabric, I wanted this to be something that could last for years in my collection, something that never goes out of style. In my opinion, that is a 14 oz. red cast fabric. Then, to make it my own, we went for a slub yarn and lowered the tension of the shuttle loom to create an irregular structure. This construction will aid to a quicker and more interesting way of fading because the slubs and irregularities create a lot of depth and different colour shades. The heavy slub 16 oz. RHT also has this feature, but the weight is too much for an all year around jeans. I know there are guys out there considering 14 oz. a light weight and only wear 20+ oz. denim, but this is just not my cup of tea, especially for the slim fits I am offering. BDD is still something very close to my heart, so everything I develop within the line is something I want to wear myself. Because we were already developing a fabric from scratch, I had all the freedom to create a concept for the selvedge colours as well. The yellow & green are a symbol for the 3 stages of indigo. It was actually during a course of indigo dyeing in Amsterdam a few years back. Here I experienced how indigo starts yellow after the first couple of dips, then slowly turns green, and after 10+ dips the deep blue indigo pops out. RD: Tell us about the jeans you have with this denim. LEN: I decided to go for 2 fits with this new fabric. This is something I haven’t done before, I used to do 1 fit per fabric. The first choice was quite obvious: BDD-006. 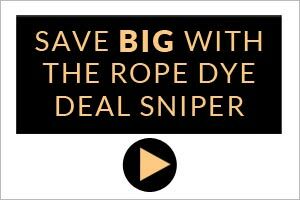 This slim fit has proven itself over the last years to be the most popular BDD fit: unless you have the upper legs of a powerlifter, it will basically fit every body type. For the 2nd option, I developed a brand new regular fit: BDD-707. Based on a vintage 40s cut, it is meant to be worn fitted and high in the waist, and works perfect together with a pair of Chucks in summer, but also Red Wing moc toes in winter. 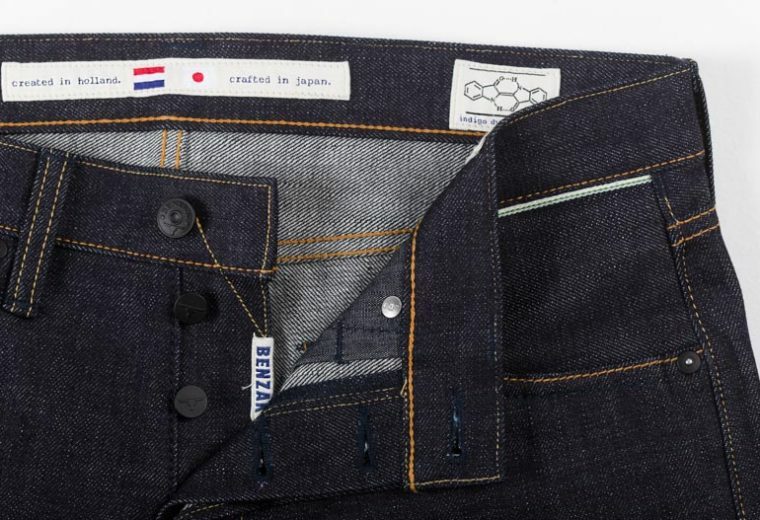 RD: With both the EU line and the BDD specific denim, you will be kept pretty busy indeed. But, as I said previously, this is a big leap forward with the brand. You must have an eye on the future. Where are you headed with BDD? LEN: BENZAK – EUROPEAN MADE will be expanded with a lot of new items other than jeans. In the near future, you can expect shirts and other clothing to be added to the line. 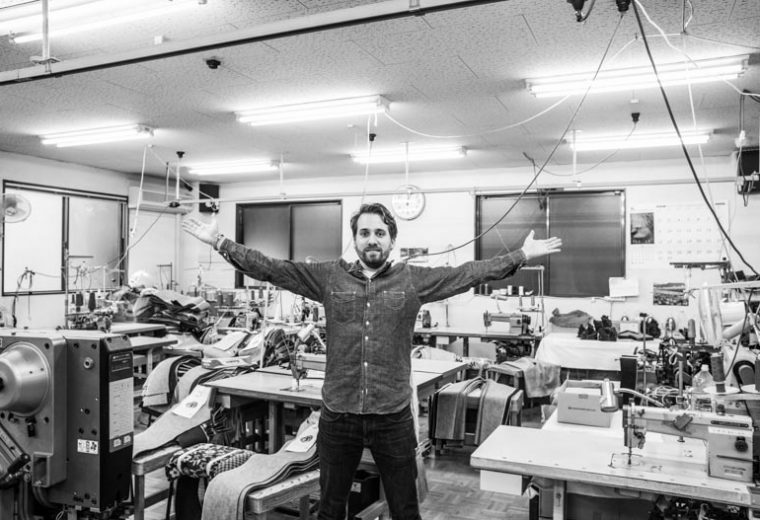 For the Benzak Denim Developers line (made in Japan) I am planning to develop more BDD exclusive fabrics.